A Supreme Court bench headed by Chief Justice H.L. Dattu on Tuesday rapped the State Governments for their inaction in banning the use and manufacture of plastic bags in their States. The Bench urged the States to be compassionate about the pain and suffering of animals who consume these bags on the streets. “States must tell us how far they have succeeded in implementing the law. State must have some sympathy for animals,” it said, adding that “it is a grim situation”. Principal Secretary of Urban Development, Ministry of Karnataka was summoned for absence of a proper waste disposal mechanism. Additionally, a three member committee of lawyers was set up in order to visit different cities of Rajasthan, in order to monitor the implementation of the ban in the State. The Court was hearing a PIL filed by Karuna Society for Animals & Nature, Puttaparthi, VSPCA Vishakhapatnam and three individuals, Pradeep Nath, Clementien Pauws and Rukmini Sekhar. “One of the significant contributing factors to the ill health among many species, including cows and bulls, is the gastro-intestinal injuries caused by ingestion of plastic in the form of plastic carrying bags. 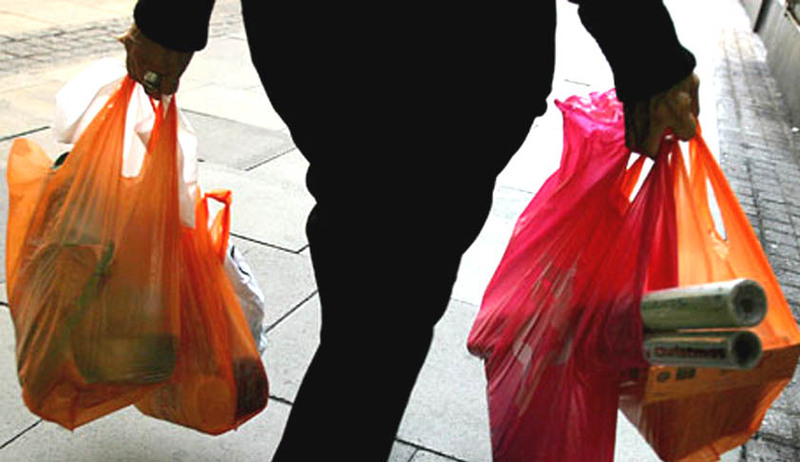 These bags which have been used to carry food or food-waste may contain food remnants and smell like food to animals. Animals cannot necessarily differentiate between the food and the plastic and so ingest the plastic in their quest for life-sustaining food,” it adds. It also demanded that proper garbage receptacles be provided in all cities and towns covered by the Municipal Solid Waste (Management and Handling) Rules, 2000 such that waste is not exposed to the open atmosphere and stray animals are not allowed to move around the waste storage facilities.